An avocado is a creamy fruit that is commonly used in Mexican cuisine, in salads and on burgers. Even though the fruit has various health benefits, eating it or applying it to your skin can cause adverse reactions. If you develop symptoms after eating or touching avocados, call your doctor immediately. Avocado oil is also commonly used in make-up, shampoos and other cosmetics. If you experience any kind of an adverse reaction, avoid eating avocado or using products that contain avocados until you can be seen by your physician. A rash that develops after your skin comes into direct contact with avocado by-products is most likely related to allergic contact dermatitis. Allergic contact dermatitis is a localized allergic reaction that occurs minutes after you touch a product that contains avocado. The rash causes skin redness, inflammation, swelling, itching and general irritation. Treat the effected areas of the skin by washing with soap and water and applying hydrocortisone cream. You may develop this rash from using cosmetics or after eating avocado that touches your mouth. Oral allergy syndrome from avocados can cause your mouth, tongue or throat to become itchy directly after eating the fruit. Oral allergy syndrome is condition that crosses pollen allergies with certain food proteins. Cross-reactivity occurs when you eat avocados because your body mistakes the proteins in the avocado as the same substance as pollen from a latex tree. Oral allergy syndrome specifically causes itching in the mouth area and doesn't lead to common food allergy symptoms. Symptoms may be prevented by cooking the fruit before consuming. Avocados are not considered a common food allergen, but could cause an allergic reaction in some people. 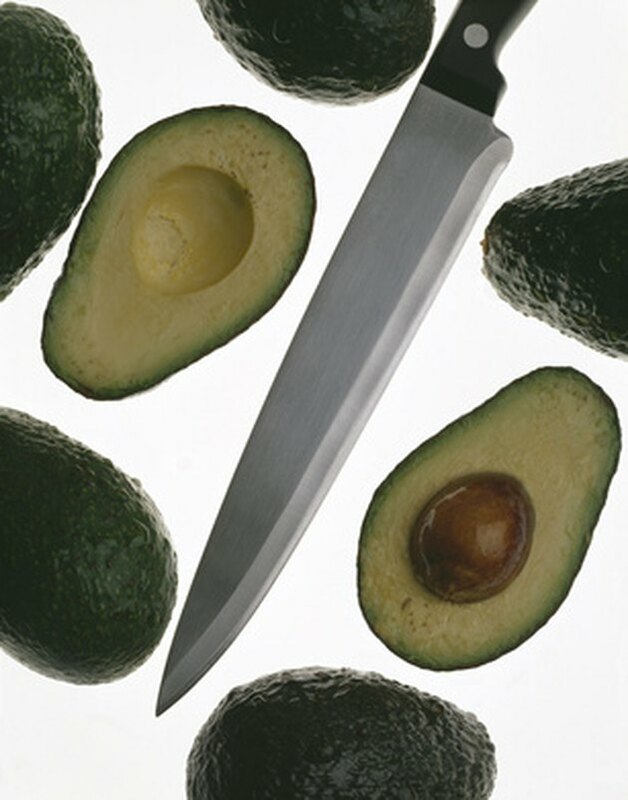 A true allergy to avocados will cause your immune system to overreact and produce immunoglobulin E antibodies. IgE antibodies are specially created during an allergic reaction to attack the proteins found in the avocado. The introduction of IgE antibodies into the blood steam cause mast cells to produce histamine, which leads to inflammation and symptoms in your body. Common symptoms of an avocado food allergy include skin rashes, hives, shortness of breath, asthma, nausea, vomiting, diarrhea and nasal congestion. Allergy testing is required to diagnose your condition. Avocado proteins are injected into your skin and a sample of your blood to determine whether or not your body reacts by creating IgE antibodies. If diagnosed with an allergy, you will need to eliminate all avocados from your diet.